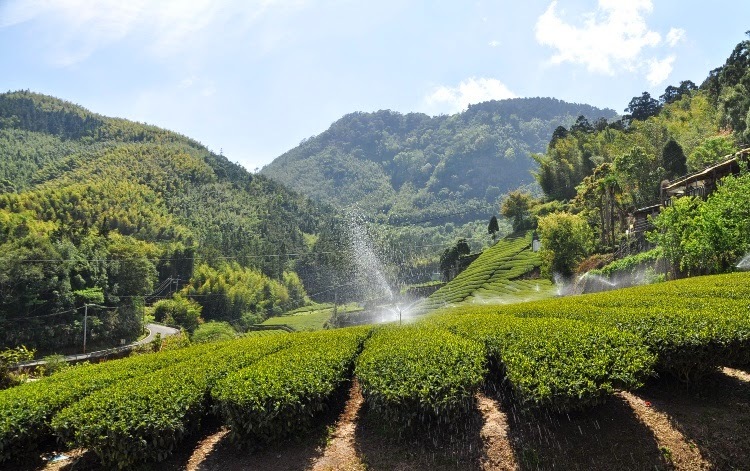 Alishan is one of Taiwan's top tourist attraction. 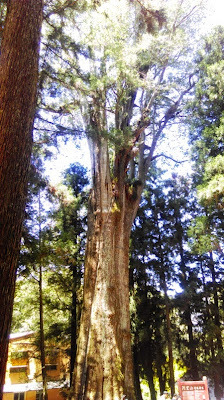 When Japan occupied the island from 1895 to 1945, the Japanese developed this area mainly to log the huge cypress trees that are growing here. They also built a railway to better access the forest and transport the huge logs. 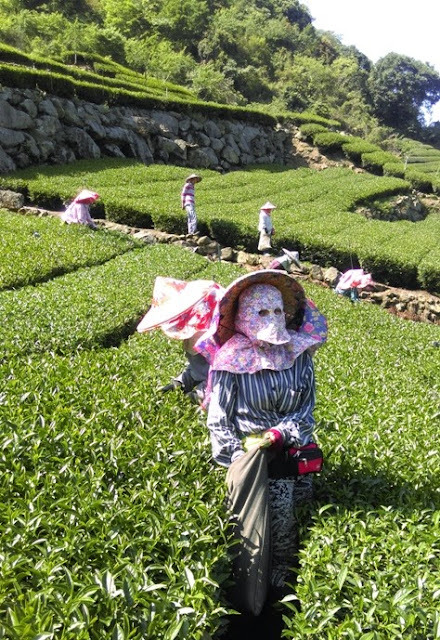 That's why most tea packs from Alishan feature its cute red train! 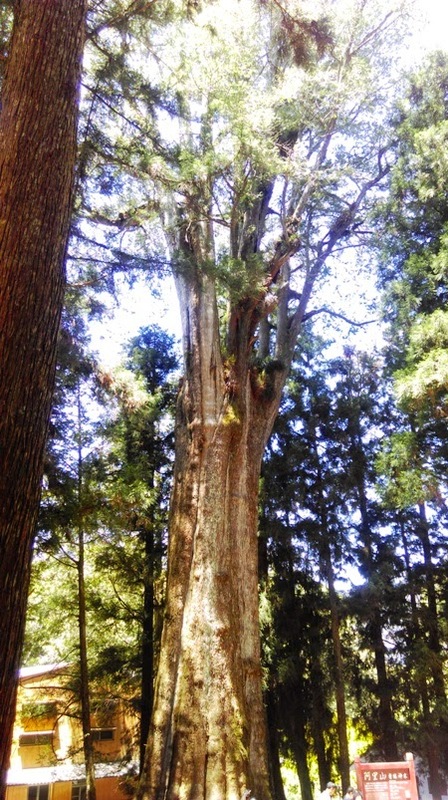 Old and big cypresses are the stars of Alishan. The one pictured on the left is approximately 2,500 years old and over 10 meters in diameter. It's called 'Shen Mu', holy tree, as a sign of reverence for its size and age. Groups of tourists flock to this tree in order to take pictures. However, this is by far not the only old cypress in Alishan. Lots of 800 to 2000 years old trees can be seen along less touristy trails in the recreational area. It's difficult not to be moved by these living giants. 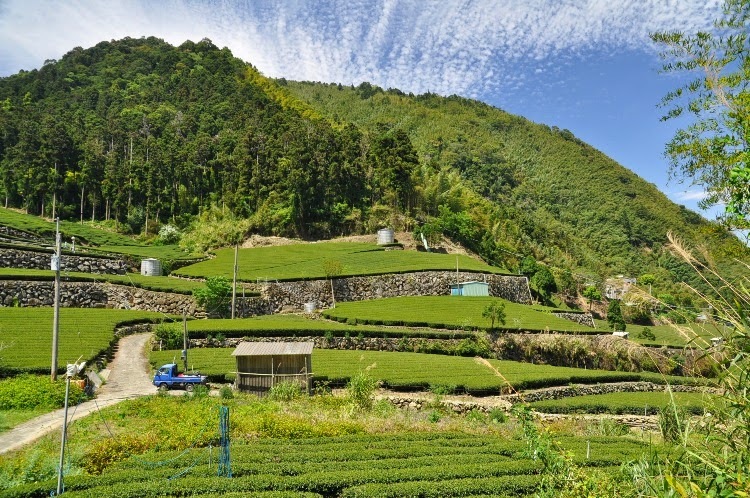 Alishan's Oolong plantations don't grow in the national park, but are located on the way leading to Alishan. 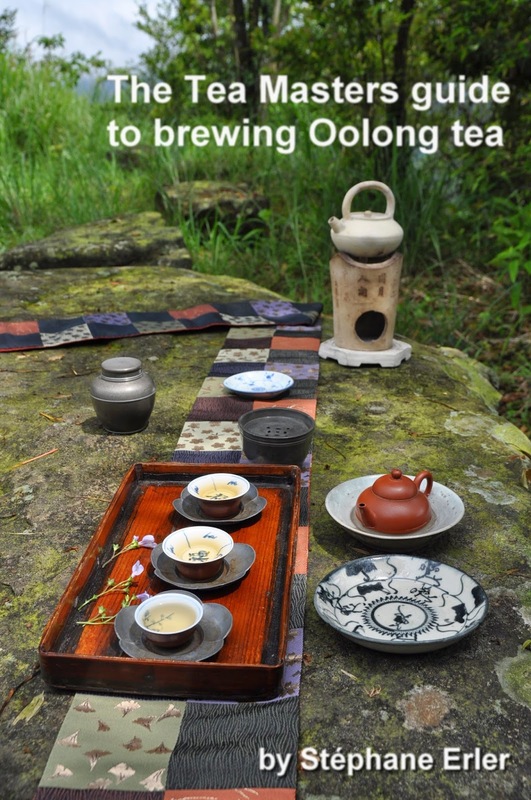 The name Alishan Oolong therefore includes lots of very different locations and soils. 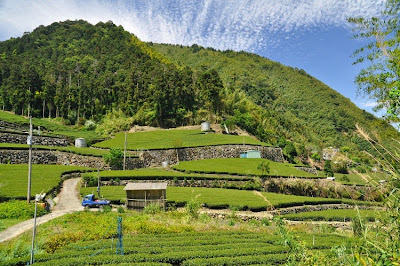 While it would be useless to try to say which one is truly Alishan (since none is grown in the Alishan Park stricto sensu), it is still important to know exactly from which place the tea comes from. My favorite spot is Changshu Hu, a small village not far from Fenqihu. Its mountain there vaguely resembles an elephant! (See the picture above). 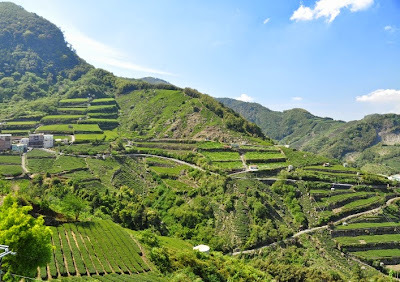 The elevation varies from 1100 meters to 1500 meters. The Changshu Hu area is rather small in terms of surface. 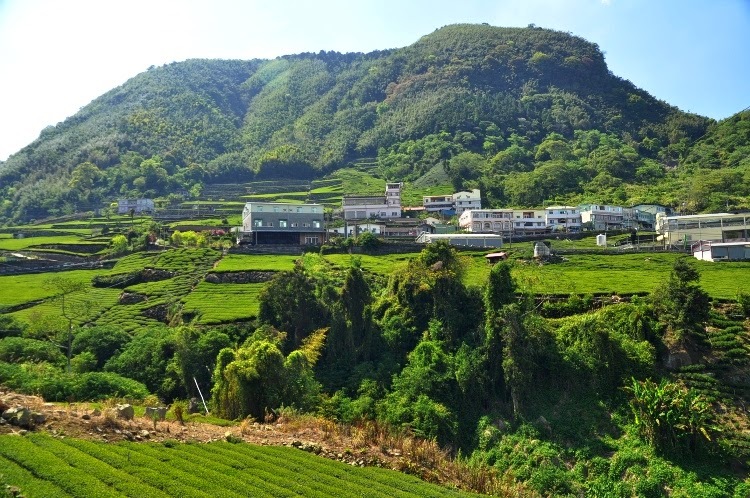 What I like about it are its stunning views and the fact that it doesn't lie on the main road between Chiayi and Alishan. There are almost no tourists who come here. This means a cleaner environment and less distractions for the farmers. 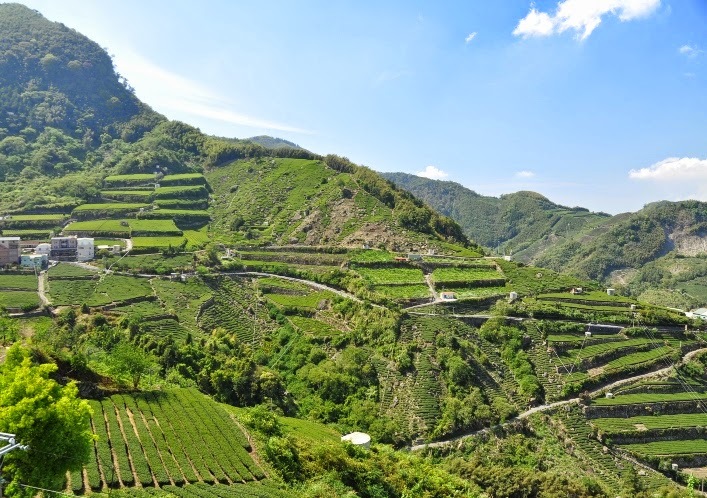 The main plantations in the village face south and get most sunshine. The colors that dominate on this sunny day are green and blue. 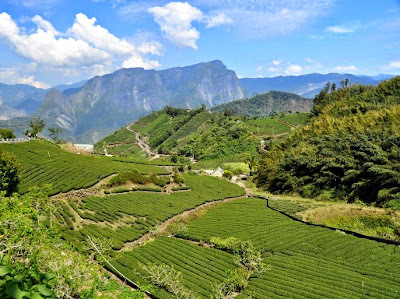 While we are still much lower in elevation than in Da Yu Ling or Lishan, the proximity of Alishan and Yushan change the way the altitude is perceived. It feels higher than it actually is. 3-4 weeks ago, some trees were hurt by freezing temperatures, which shows how cold it can get (similar to places above 2000 m). 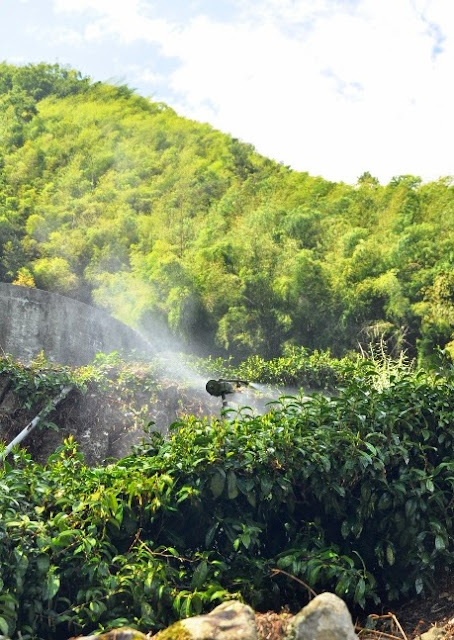 A walk in the plantations is like a bowl of fresh air. It feels a little bit like Da Yu Ling, even though we are 1000 meters below. 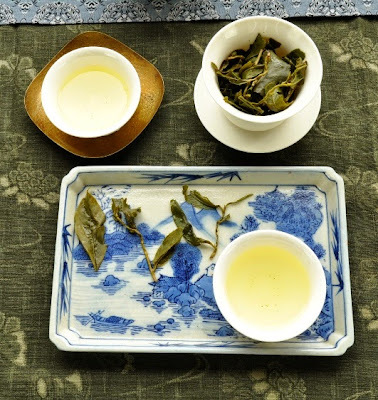 This is another reason that makes me love this place: the energy and taste of the Oolong reminds me of the highest plantations, but the price is much more reasonable. This year's sunshine is particularly strong and the harvesters have their tricks to avoid a sunburn! 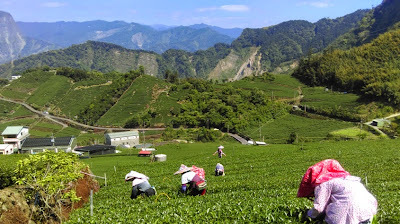 My Chaxi's inspiration comes from green mountain surrounded by the blue sky! 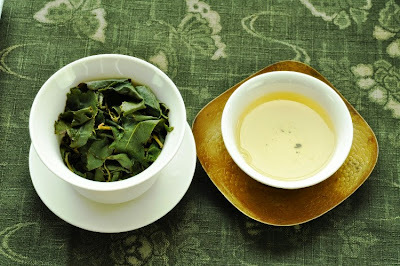 Process: low oxidation, rolled leaves, no roast. This spring High Mountain Oolong isn't roasted and therefore isn't suitable for long term aging. Its emphasis is freshness and is meant to be drunk within 2 years. The dry leaves have a wonderful scent of fresh lavender. The brew's clarity and light golden color are signs of great quality. 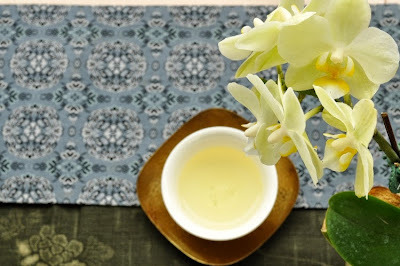 The taste is buttery, sweet and long. 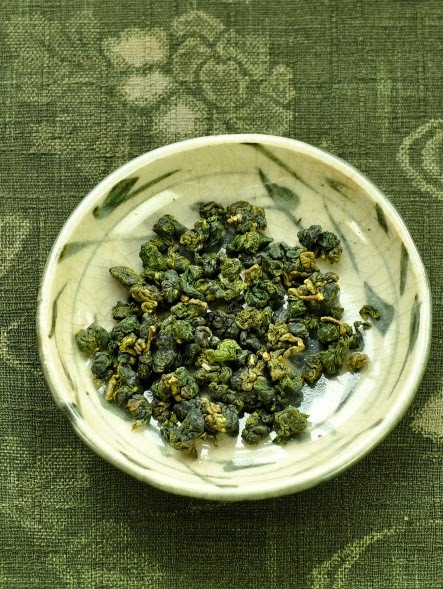 The sun shines in the mellow aftertaste of Changshu Hu Oolong. Their presence lingers on and on. It feels like Oded Tzur's neverending melodies on his saxophone. His debut album has just been released and I am so glad to enjoy it together with my Chaxis. 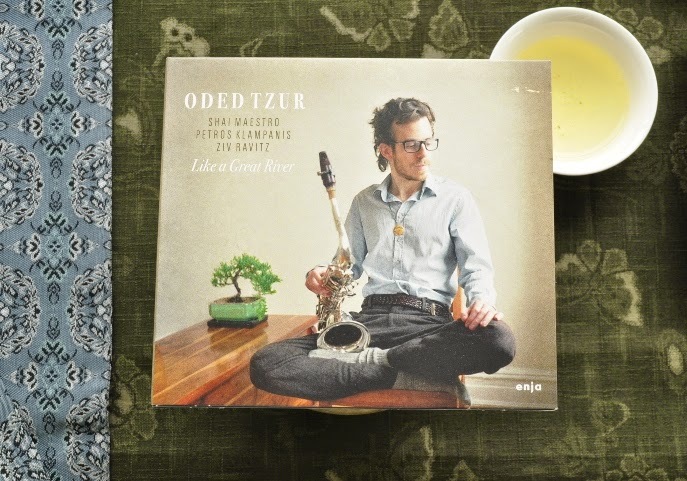 Knowing that Oded finds inspiration in (my) teas and that I participated in the CD's crowdfunding only adds more connections between the tea and the music. 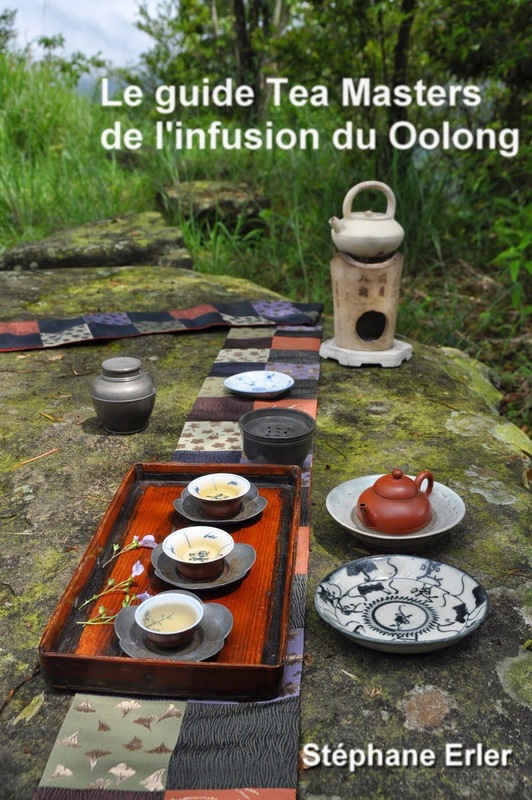 Levitating with music and Oolong! The intense blues and greens of the mountain ranges look stunning. I can see the color scheme of your chaxi reflects that too. Thank you for sharing these beautiful photos.